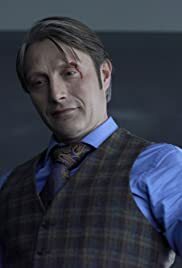 During a therapy session, Will shares a vision of how he would kill Hannibal. Meanwhile, an increasingly impatient Jack brings in a surprise witness to help Will catch Hannibal. Dr. Hannibal Lecter: Dreams prepare us for waking life. Will Graham: It's one thing to dream, it's another to... understand the nature of the dream. Dr. Hannibal Lecter: You're waking up to who you are. That's all you need to understand.